For the longest time when I thought of an "FBI agent", I'd think of Ben Maxwell on The Greatest American Hero. I used to therefore think that FBI Agents were hard-asses who constantly spoke through clenched teeth and were impossibly tanned - it wasn't until I saw Special Agent Dale Cooper in Twin Peaks that I revised my opinion which up to then was completely formulated by the legendary Robert Culp. Culp, a Californian actor gained notoriety as Hoby Gilman in the Western TV series Trackdown from 1957 to 59 and for his many television performances including episodes of The Man From U.N.C.L.E., Shaft and for 3 years on I-Spy with Bill Cosby, a series for which he was not only nominated for an acting Emmy, but also one for writing a number of episodes. 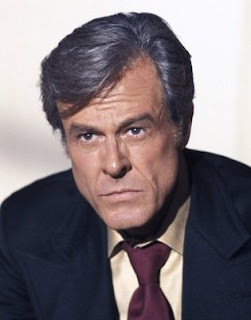 Following his 3-season role on The Greatest American Hero in the early 80's Culp made dozens of appearances on some of the best known shows on TV such as Matlock, Jake and the Fatman, Dr. Quinn: Medicine Woman, Hardcastle and McCormick, Chicago Hope and Walker: Texas Ranger. He had a recurring role on Columbo as as Dr. Keppel and portrayed Cornelius Farnsworth in Lonesome Dove: The Series. Culp rarely strayed from television making few movies but is noted as Ens. Ross in PT-109, the story of John F. Kennedy's time as a Naval officer in WWII and in 1994 he played the U.S. President in The Pelican Brief. Culp was also noted for his voice work on Disney's Gargoyles and more recently as Dr. Wallace Breen in the Half Life 2 videogame series. In '07 he voiced a hilarious appearance reprising Ben Maxwell in a Robot Chicken spoof of The Greatest American Hero. He completed many projects per year up until 2003 where he took on few new projects. Culp died from a fall outside his Los Angles home Wednesday. He was 79.